3. Offer is extended to one (1) companion. 4. 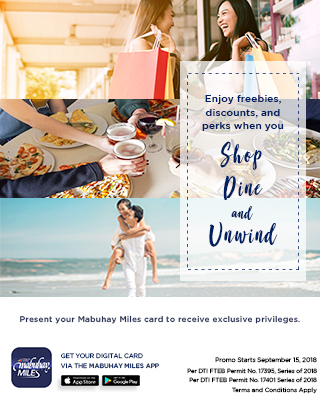 Offers can be availed from November 1, 2018 to May 30, 2019 only. 6. Offer may not be used in conjunction with other offers including but not limited to Senior Citizen or PWD discounts.